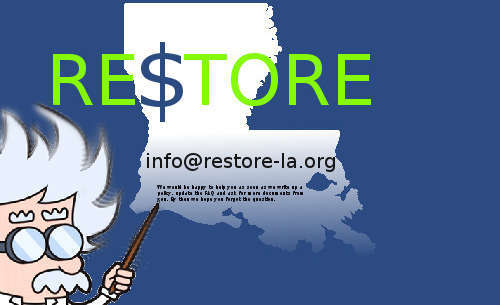 Restore.LA.Gov Solution 3 Reimbursement is determined by the pricing guide published in the Homeowners Manual. About 1 minute and 29 seconds reading time for this 415 word page. Solution 3 Reimbursement is NOT determined by the number of receipts you have and turn in. 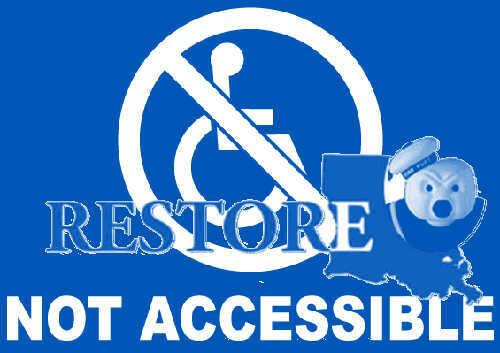 According to infoRestore-LA.Org using the State of Louisiana email server mailppa1.swe.la.gov the program reimburses based on the pricing guide for construction. Contributing, Always a Two-Way Street. Help Us keep helping You! Thank you for touching base. To clarify, reimbursement is limited to only those expenses determined eligible by the Program, less any duplication of benefits. Eligible expenses will be based on a standard pricing guide for construction used by the Program and as assessed during an onsite inspection. Only eligible expenses at the Program standard price will be considered for reimbursement. Receipts will not be accepted as justification for the increase of the program allowances identified for any eligible reimbursable line item in the estimate. At this time, the Program only accepts receipts for the purpose of a Duplication of Benefits reduction for homeowners (not for the purpose of reimbursement). Applicable scenarios include applicants who have begun repairs to their Manufactured Housing Unit (MHU), or site-built homes which will be reconstructed. Applicants are advised that additional information may be required for the State to properly calculate the Grant Amount and that applicants should maintain all records, receipts, invoices and other documentation related to any repairs, construction or clean-up of the damaged home. The State reserves the right to request additional documentation and the applicant is obligated to be responsive to these requests and produce such documentation, when requested. This obligation continues even after all repairs have been completed and all award funds have been distributed to the applicant. If you have additional questions, please feel free to reach out. 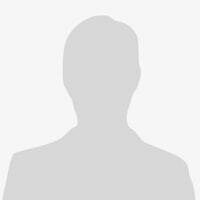 Email: Thread-Topic: Receipts for Solution 3 Reimbursements require bank statements now? 1. Question was asked "Why does Restore require credit and debit card receipts, bank statements, and merchant purchase receipts?" Be sure to read what they say about any additional document requests. 2. We were told that when we submit a receipt for materials that we purchased to repair our home under solution 3 reimbursement we have to also submit bank statements showing the actual transaction amount that matches the receipts. Based on the Homeowners Manual version 3.1 we only have to provide receipts for reimbursements. Is this a new policy and if so where is it documented? What about receipts for cash transactions? You'll need a Standard Membership Projects or Professional Membership Trades account to post comments to this page. Public Law 115 123 appropriated 28 billion of CDBG DR Funding for two purposes.